At Bearwood Primary and Nursery school, history has been rebuilt – literally! 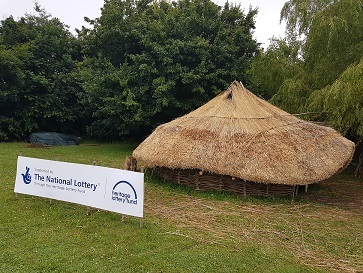 In partnership with Poole Museum, members of the PFA and Governors, and the children, the school has recreated a Celtic roundhouse on the school grounds. 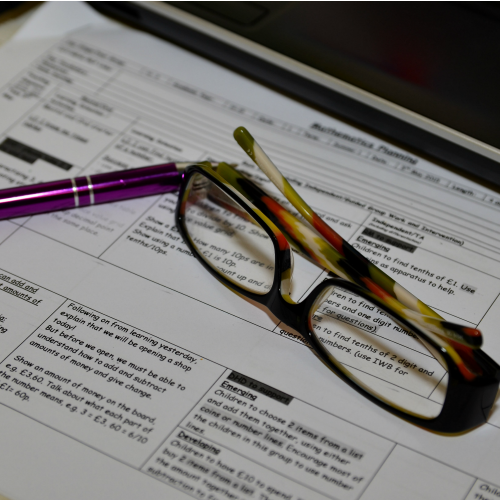 It will be used as a resource to help pupils learn how the people from that era lived. The project has also become something that the community are actively involved with. The building of the roundhouse commenced at Easter and in the summer term at the Summer Fayre there was a grand opening. Our roundhouse is built from natural materials. These were locally harvested or reclaimed. We had help in gathering these from the PFA and volunteers. We used wooden beams/poles (75-100 mm thick) for the rafters and walls. Long straight poles of oak and beech are the best, but any strong straight wood was useful. Wall beams are about 1-1.5 m long (we used 50 of these). Beams for the roof are about 4 m long and we used 15 of these. We’ll used some smaller timbers to create a lattice for the roof to rest the thatch on, so other poles of about 1-1.5m in length were used too. A roundhouse is a one roomed building which is round in shape with a conical roof. Archaeology tells us that roundhouses were built from the Bronze age (up to 5000 years ago) and into the Iron Age (2000 years ago). They are most closely associated with the Iron Age. Roundhouses nearly always face east/south east. The roof always has a 45 degree pitch, this gives the conical roof structural integrity and allows the rain to run off. Please find details of our roundhouse and how it worked to expand our children’s learning.